The cost of credit card fees has increased dramatically since 2008. Aggressive advertising campaigns to market premium credit cards by banks and credit card companies have seen consumers significantly increase their use of credit cards, even for smaller purchases. 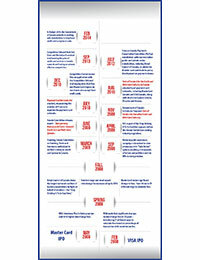 Credit card fees now cost merchants – and ultimately consumers – more than $5 billion annually. 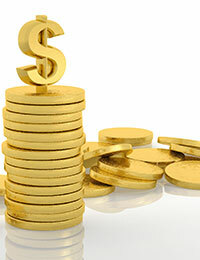 Interchange – the amount paid to banks – accounts for 80% or $4 billion dollars of this fee. Retail Council of Canada is the largest entity of retailers across the country, representing 75% of retail sales by volume (non-automotive). Learn how the payments process works and how it increases costs for retailers. 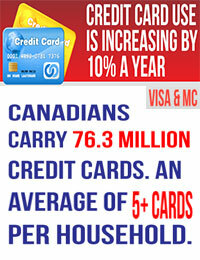 Read about the history of credit card fees in Canada and around the world. 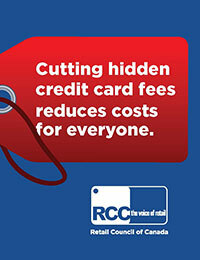 See what RCC is doing on your behalf to fight higher credit card fees and finally what you can do to help!